I commenced my trade of Plumbing with a traineeship located in the Riverland, South Australia. After successfully completing the traineeship I began an apprenticeship in plumbing, in Mildura, Victoria. During my apprenticeship I was exposed to a wide range of plumbing aspects of the trade, particularly domestic and commercial properties in rural Victoria. After completion of my apprenticeship I took my skills and furthered my career in plumbing, handyman services, bathroom renovations, shed building from very large to household shedding. I have worked in the Northern Territory, servicing a vast number of large properties and domestic houses, operating large machinery and commercial shed building. After 14 years’ experience I have returned to the Riverland and setup business as a plumber, both domestic and commercial. I also offer handyman services and irrigation installation. 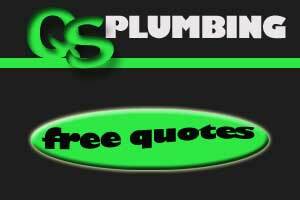 QS Plumbing provides professional plumbing services offering reliable service and quality. If you have some niggling jobs that need fixing - call me. Mb: 0428 400 662 or Contact Us. We strive to work with quality warranty providers to give you the longest and best coverage of parts. Handyman services are available. No job too small or large. QS Plumbing works within the Occupational Health Welfare and Safety Laws and legislations required by South Australian and Victorian Law and abiding State Laws of Australia. It practices Safe Work Procedures and Practices. Copyright (c) 2012 Sitename.com. All rights reserved. Images by Fotogrph. Design by FCT.